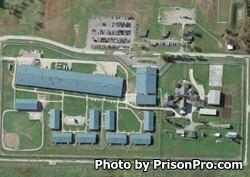 Located in Tipton Missouri, Tipton Correctional Center is a minimum custody correctional facility that has the capacity to house 1,222 male offenders. Inmates are housed in open bay dormitories. Some inmates are selected to work various jobs on institutional grounds providing services like janitorial maintenance, kitchen work, laundry services, and groundskeeping. Before you can visit an inmate at Tipton Correctional Center, you must have an approved inmate visitors application on file for the inmate you wish to see. Once you are approved you may visit on Fridays, Saturdays, and Sundays from 9:30am-1:30pm and 2:30pm-6:30pm.